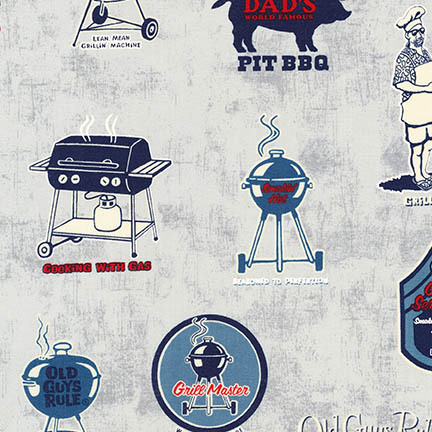 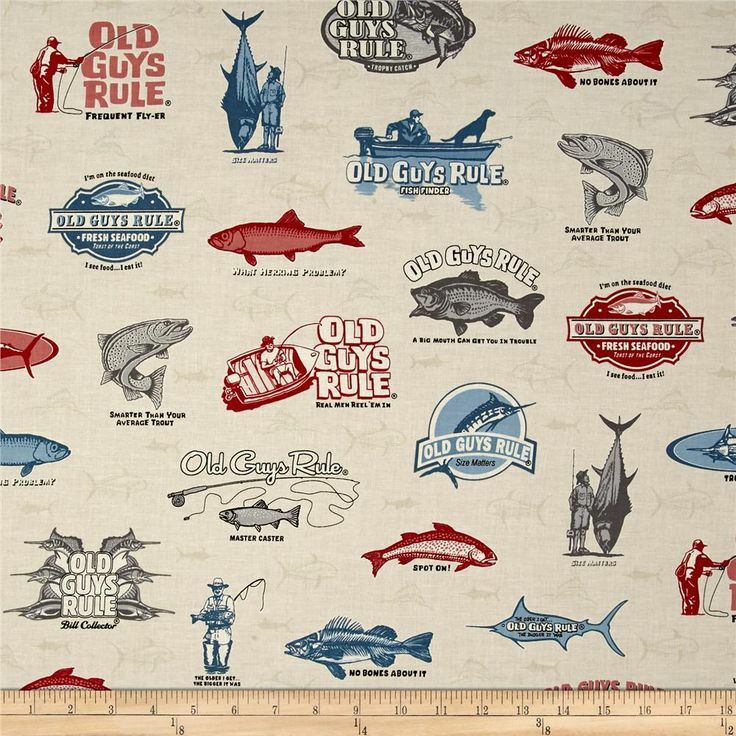 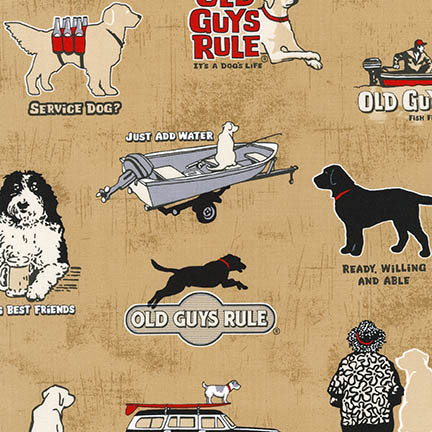 Old Guys Rule by OGR International Inc. 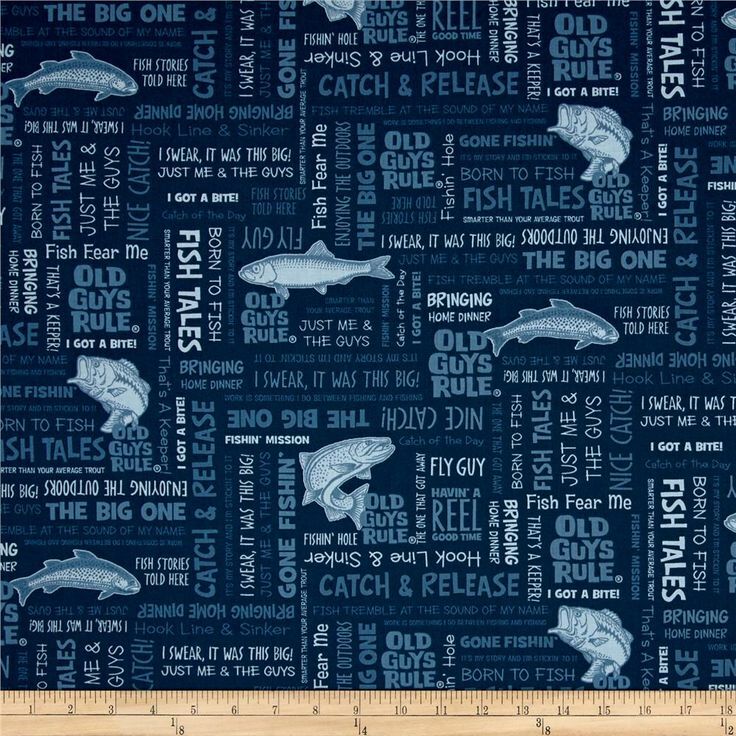 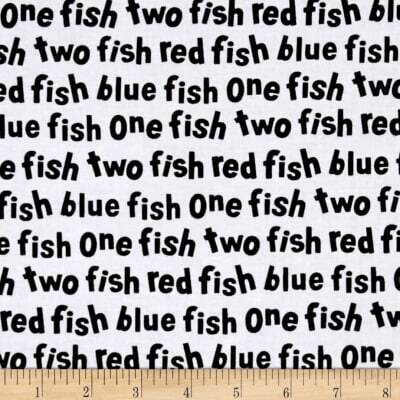 Repeated illustrations of various types of blue fish on light blue background. Sold by the yard.